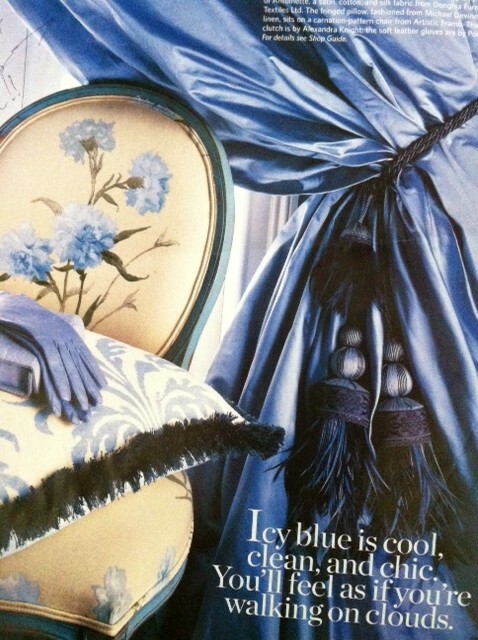 Daily Covet: One word. Cashmere. Ok, I had a crisis there for a minute, and it’s been averted. Cranberry orange relish was a hit, and was quick enough to keep me on schedule. So, what am I coveting today? Primarily, sleep. But what’s better than reading your favorite magazine, Lucky, fluffing your pillow and peacefully drifting off to sleep? I’ll tell you what. Doing it in cashmere. Need I say more? Ok, so it’s not cheap. But you could wear this cashmere tank set from RedEnvelope.com every night of the year, if you wanted to, making the cost per wear $0.41. You probably spend far more than that on Vicks VapoRub, Kleenex and your reusable water cup. Give it some thought… or put it at the top of your Christmas list! 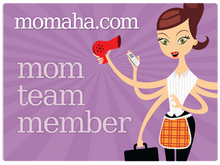 This morning, I was supposed to be downtown to shoot an anniversary video for Momaha.com. But that was after I got my oldest to preschool and my youngest to my in-laws. A phone call to my mother. I needed something quick and easy, and she came through for me again. If any of you out there are like me, and are extremely impaired when it comes to your kitchen, you will appreciate this easier than easy recipe. WOW your family and friends, when you come waltzing in with a twist on the seasonal favorite ! 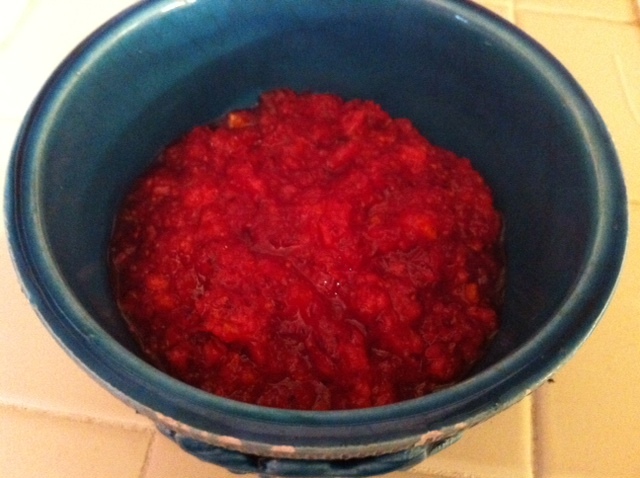 Put cranberries and sugar into food processor and chop into relish-like consistency. Cut orange into 8 wedges and add one at a time to food processor. Skins and all. Pour into a serving bowl and garnish with a piece of mint (optional). You know how they say that your home can be a lifelong work in progress? Well, my home is definitely that. In fact, it might be in progress during someone else’s lifetime after mine. One thing my husband and I are always looking out for, is interesting art. Things that speak to us. I was sifting through my emails this morning, and decided to check out some of the collections on OneKingsLane.com. 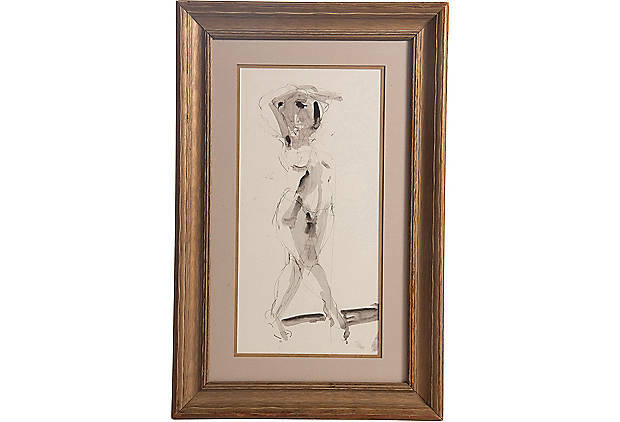 This pen and watercolor sketch, procured by Trove Decor in Pennsylvania, caught my eye. I liked that the woman looks as if she is shielding her eyes from the sun. But without being dressed, I imagined her in the morning, getting out of the shower or about to get dressed in a sun-drenched room. It’s simple. Not a lot of color. And that’s ok because I’ve got plenty of that going on already.